Just the name is shiver-inducing. Sir Arthur Conan Doyle’s timeless masterpiece continues to capture the imagination of millions worldwide and so the adaptations of the occupants of 221B Baker Street continue. While I still have a soft spot for Basil Rathbone, my first Sherlock, I find room enough for Benedict Cumberbatch and Jonny Lee Miller. 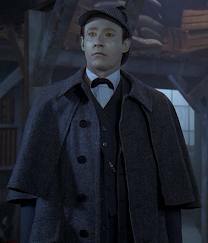 Though the BBC series, Sherlock is darker and more true to Doyle’s vision of his Aspergerian detective who solves cases not because he cares as he feels compelled. I enjoyed Monk with the truly amazing Tony Shalhoub which I always thought was a thinly-veiled Sherlock adaptation. 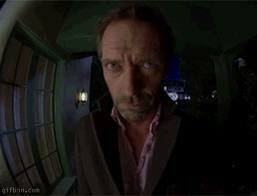 Also, House MD starring the incomparable Hugh Laurie in which Sherlock Holmes is portrayed as a doctor who detected. 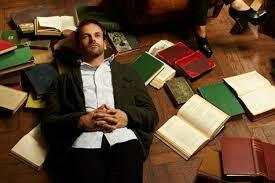 I also see some of Holmes in shows like Psych and The Mentalist. All characters are amazing detectives who appear to lack empathy and social skills yet end up helping people massively. 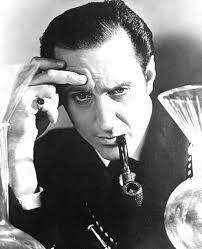 Other actors to have played Sherlock Holmes on screen, stage and radio include: Robert Downey Jr., Ben Kingsley, Peter O’Toole, Matt Frewer, Frank Langella, Peter Cushing, Christopher Lee, Brent Spiner, Stewart Granger, John Gielgud, Peter Cook, Raymond Massey, John Barrymore, Harry Arthur Saintsbury, Leonard Nimoy, Jonathan Pryce, Jeremy Brett, Charlton Heston, Rupert Everett, James D’Arcy, Viggo Larson, Christopher Plummer, Larry the Cucumber, Orson Welles, and more.I’ve thoroughly enjoyed the first three seasons of Sherlock (4th on the way) and am still enjoying Elementary on CBS. 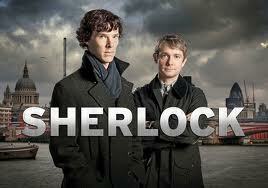 So what is it that keeps so many of us returning to Sherlock Holmes over and over? The brilliance of his mind? 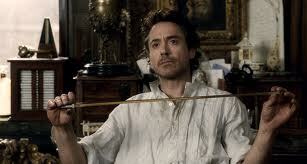 I think it’s all that and the friendship between Holmes and Watson and Mrs. Hudson. As much as Sherlock can be annoying, he is also strangely endearing and we want to visit his exceptional, fascinating mind…just visit. 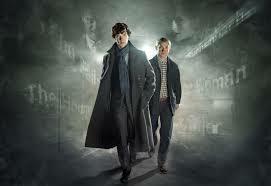 So whatever adaptation of Sherlock Holmes you enjoy, it’s lovely to see the game is still afoot after all these years. Another parallel in The Mentalist is the evil mastermind opponent of Red John. I am still only in Season 3 so no spoilers please. I haven’t seen, but it is one that I should get to see it soon…. I’ll have to get used to liking Watson. He was such a creep in “Fargo.” (The tv show not the movie but you probably knew that.) Billie Bob Thornton was a creep too but yet he was more likeable. It’s so close! Yet, so far away. 🙂 First, I need to get my Skype things from the store. Oh man. It should be an adventure. I adore Sherlock in all forms, as you can see, and last night’s was, well, no spoilers, wild.